Parking is available in the ramp at the Emergency Department (ED) entrance. Any patient coming into the ED may use the valet parking service. Valet parking is available Monday–Friday (except holidays) from 10:30am-7pm. At other times, parking is available in the ramp at the ED entrance. If you go through the gate, please bring your ticket inside with you. Check in at the desk in the Emergency Department (ED) front desk. Staff will ask for your child’s name and birthdate and will ask you questions about why your child needs to be seen in the ED. Your child will then be seen to determine the severity of your child’s illness or injury. The triage nurse will check your child’s temperature, heart rate, breathing rate and blood pressure. Staff will also weigh your child. If all of the patient rooms are full in the pediatric ED, you might be asked to wait in the waiting room. Please know, even if the clinic called us to let us know you would be coming, we cannot hold a room or have staff waiting for you to arrive. You might notice other patients being assigned to a room before your child, even if they arrived after you. We see the sickest and most injured patients first. Patients also could be arriving by ambulance and helicopter. If you have questions about the wait time, please check in at the desk. Once a room is available, staff will help you to the room. We support patient- and family-centered care and allow visitors when we are able. As you meet care team members, staff will introduce themselves and their roles. Please let us know if you have any questions. All staff are happy to answer any questions you may have. The length of time you are in the ED can vary and depends on many things. Care team members will update you on the expected length of time for your stay in the ED. 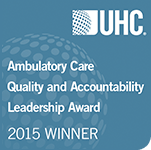 Patient safety and the highest quality care is our goal. With this in mind, we will work to make your visit as short as possible. As we learn more about the care your child needs from the tests that are done and the staff that see him or her, we will be able to tell you if your child will need to stay in the hospital or if you will be able to go home. If your child needs to stay in the hospital, we will help your family with any questions or concerns you have. A child life specialist, social worker or case manager may meet with you to make sure you understand the plan of care. If you are able to go home, we will give you instructions about taking care of your child at home. You might also be given a prescription if there are any medicines we would like your child to take. We like to call all of our patients the day after their ED visit to see how they are feeling and if they have any questions. You might also receive a survey in the mail a few weeks after your ED visit. Please fill out the survey so we can make sure we are doing the best we can for our patients.